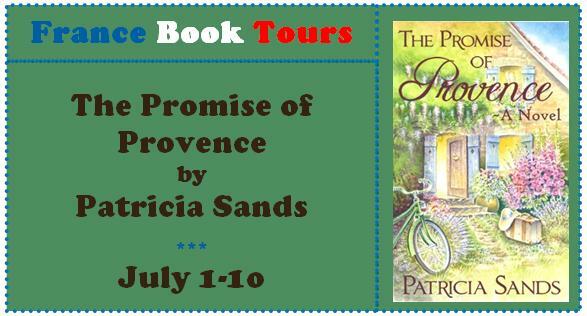 The scientific randomness of picking a name out of a hat means that Sarah is the winner of the e-book, The Promise of Provence! Read my review of the book here, and click here or here to learn more about Words and Peace France Book Tours, which continue! 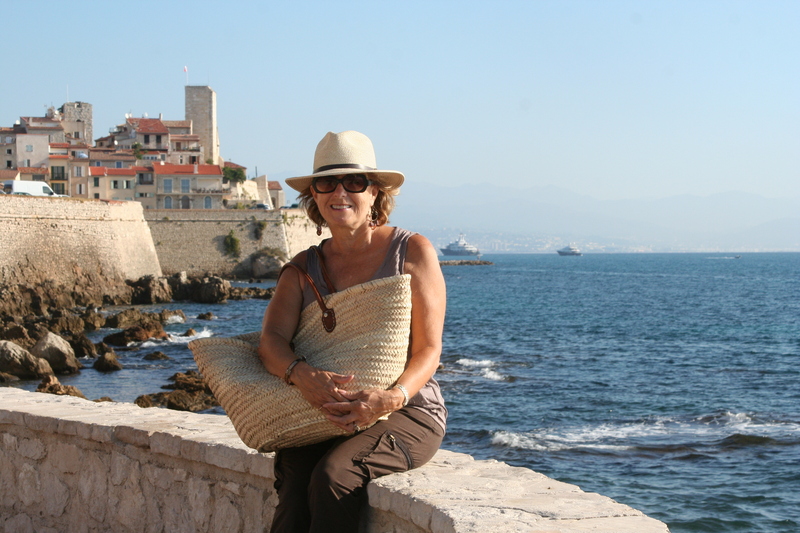 Next summer Patricia is taking a tour of Provence with 14 women, and boy is it tempting! She’s fun to follow on Facebook and Twitter. A lot going on for her! Enjoy the book, Sarah! Happy reading! After a year of heartbreak, Katherine has impulsively agreed to a home exchange in the south of France. Colorful locals, a yellow lab named Picasso, and the inspiring beauty of the countryside breathe new life into her days. Available on Amazon worldwide USA Canada UK FR and may be ordered at any bookstore. Patricia Sands lives in Toronto, Canada, when she isn’t somewhere else. An admitted travel fanatic, she can pack a bag in a flash and be ready to go anywhere … particularly the south of France. With a focus on women’s issues and ageing, her stories celebrate the feminine spirit and the power of friendship. Encouraging women of all ages to stare down the fear factor and embrace change, she has heard from readers ages 20 to 83. Her award-winning debut novel The Bridge Club was published in 2010. 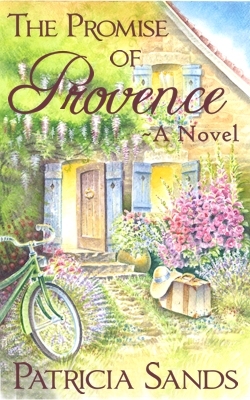 Her second novel, The Promise of Provence is an Amazon Hot New Release as of April 2013. Following along with Boof’s 40 Day Challenge leading up to her 40th birthday, day 38! This is a toughy, because although I can be an author-stalker, I don’t necessarily think about them as crushes. 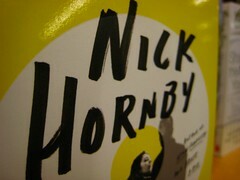 But one author that I immediately looked for on Goodreads because I love to read anything by him, would be Nick Hornby. His books are clever and witty and apt. I would love to meet him and see if he’s anything like the characters he writes. #38 on my list was: Drink before noon. How silly is that? It wasn’t a well-thought-out addition or something I had been dreaming about doing for years, but rather added as the opportunity came about. 🙂 We have a small cabin on a small lake about an hour from where I live. It’s absolutely perfect. This drink happened one morning at the end of the dock to celebrate my brother’s birthday and the nearing end of summer. 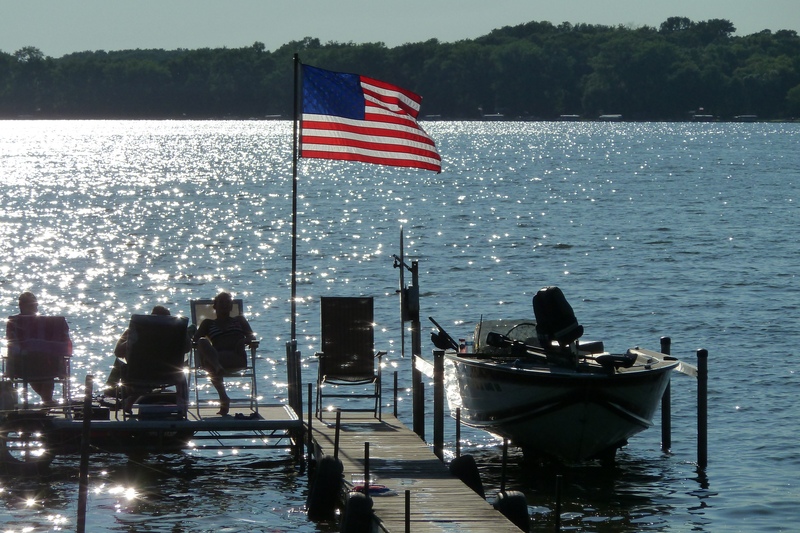 I always say that the end of the dock is my favorite room at the cabin… whether it be with coffee or wine, alone or with friends, with a book or purely sun worshiping. It’s the best.